McGuinness, Rutter, Hillier and Mercer had continued straight through for their second lap and Rutter was first to complete the lap at 127.031mph but McGuinness was faster, his speed of 128.871mph sending him to the top of the leaderboard. Hutchinson quickened his pace second time around to 126.470mph with Conor Cummins not far behind at 125.905mph. 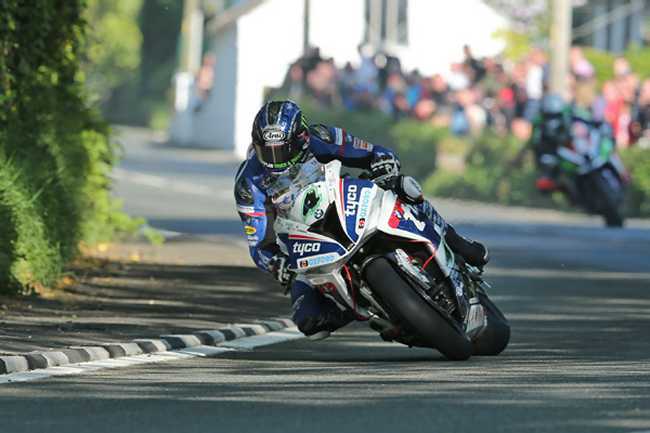 As the session wore on, the majority riders swapped between their Superbike and Superstock machines and Dunlop’s fourth lap on his Superbike saw him lap at 129.497mph but Hutchinson went quicker at 129.96mph. Harrison jumped to the top of the leaderboard in the Superstock class at 128.044mph but Anstey was quickest through the speedtrap at 193.4mph on the RCV. With his second lap being a hugely impressive 127.071mph, he went quicker still on his third lap with a speed of 127.071 (17:48.916). 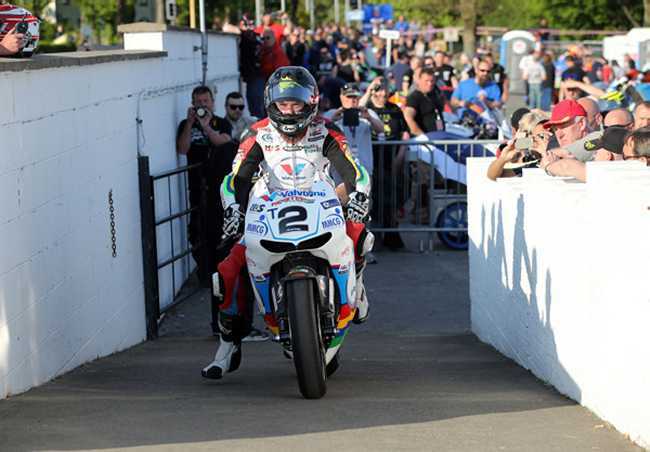 Harrison topped the Superstock class with a speed of 128.044 mph, followed by Dunlop (126.726), Hickman (125.725), McGuinness (125.574), Steve Mercer (124.881) and Daniel Hegarty (124.104). Having had a lengthy session on Saturday evening, not many riders opted to take out their Supersport machines and Harrison was again quickest, as he had been in Saturday’s opening session, with 124.461mph followed by Lee Johnston, who completed his first laps having broken down on Saturday, with 122.067mph and Mercer at 122.067mph. Meanwhile, the newcomers were also increasing their speeds steadily, Jochem van den Hoek lapping at 108.85mph, Alessandro Polita 108.831mph, Forrest Dunn 106.464mph and Mike Booth 105.135mph. Karl Foster was reported to have sustained ankle and wrist injuries in an accident at the 32nd milestone and was taken by airmed to Nobles Hospital.